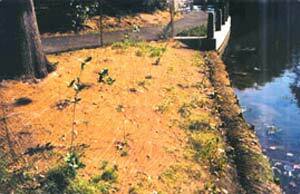 Coir products are one of the leading erosion control solutions from GEI Works. As a result, we have received numerous questions over the years. Below is a selection of frequently asked questions, so our customers can have a better understanding of the many uses of coir. Please contact us with any other questions about our coir products. 1. What is coir? Why is coir used for erosion control? 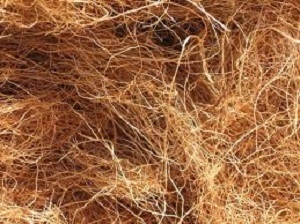 Coir is an all-natural fiber taken from the husks of coconuts. Brown coir, taken from fully ripe coconuts, is strong and thick. A few uses of coir include mats, brushes, and sacking. Most erosion control coir products are made with brown coir. 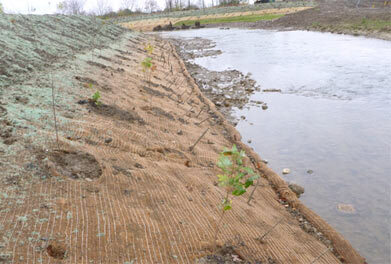 Coir products work as erosion control solutions for multiple reasons. Coir is relatively waterproof and resistant to saltwater damage. As such, water does not negatively affect it. Coir also has a hairy, rough texture, so soil and seeds are more likely to cling to it. What coir products does GEI Works offer? 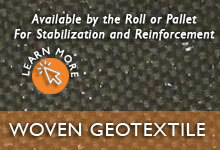 GEI Works offers provides a variety of coir erosion control solutions. Whether using them for weed prevention or slope protection against erosion, there is something for every situation. 3. How long do coir products last? Are the biodegradable? The lifespans of coir products vary, depending on type of product and where it is used. Coir logs and wattles generally last 2 to 6 years. Most coir blankets and mats last from 4 to 6 years. Shorter-lived mats are also available. A temporary erosion control mat generally lasts between 9 and 24 months. Coir products are 100% biodegradable. Over the course of their lifespans, microorganisms in the soil consume the coir, enriching the surrounding soil. This process aids fertilization and helps plants continue to protect against erosion after the coir is gone. 4. Do coir products come pre-seeded? How can I seed an area with coir? GEI Works coir erosion solutions do not come pre-seeded. Native vegetation is recommended for the most effective erosion control uses of coir, so leaving it unseeded initially allows use in most areas. Now, the local ecosystem is disrupted as little as possible. Coir blankets and logs are the typical products used in seeding, depending on the location, slope, and water flow of the effected area. Questions about steep slope erosion control? We can help! Call the GEI Works team at 1-772-646-0597 or fill out our quote request form to discuss your requirements. 5. How are coir products installed? 6. With the different types of coir blankets, how do I choose which one to use? When choosing between coir blankets, the first consideration is the timeline of the project. 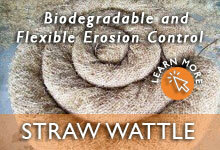 An erosion control mat can last from 9 months to 6 years, depending on the thickness and type of mat. The second consideration is the slope of the area. 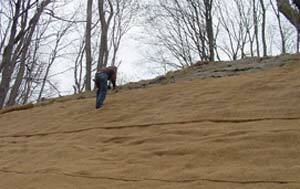 Steep slope erosion control requires heavier coir blankets with small openings to keep soil and seeds from leaving. The final consideration is water flow. Just as with slope, heavier water flows require heavier mats or blankets to keep vegetation and soil in the area. 7. What is the difference between coir logs and wattles? Coir logs and wattles are similar in size and shape, but they do have a few differences. Wattles are slightly smaller in size, ranging from 6" to 9" in diameter; coir logs have diameters from 9" to 20". Coir wattles are not as dense as logs, causing them to be more flexible. Coir logs are used for heavy duty slope protection against erosion, while the pliable wattles are generally used for filtration. For a listing of coir and other erosion control products, visit the Erosion Sediment Control Products page. More questions about the uses of coir? Call the GEI Works team at 1-772-646-0597 or fill out our quote request form to discuss your requirements.